On March 29th, the SMCOE STEM fair was held at the Hiller Aviation Museum. 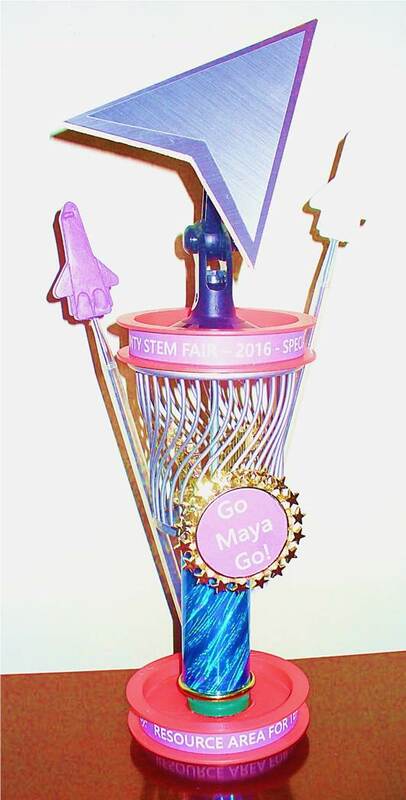 Every year, RAFT is allowed to pick a special winner who has demonstrated an exceptional skills in science. 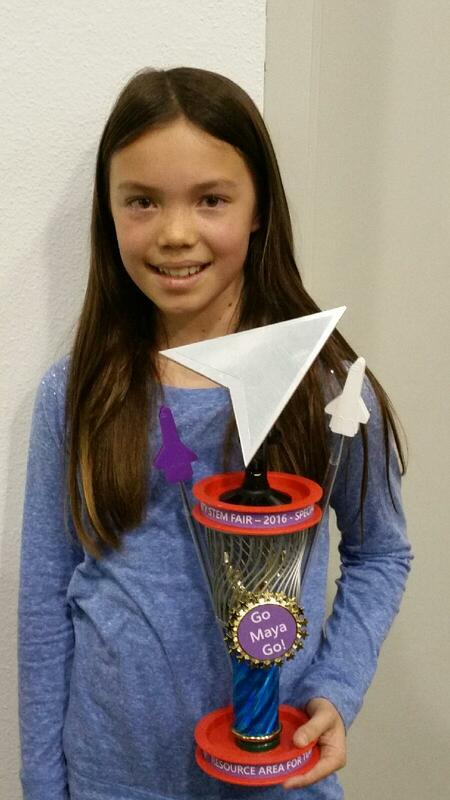 The RAFT special award winner this year is Maya Ellis, a fifth grader from Central Middle School in San Carlos! Maya’s physics project, “Shaped for Speed,” tested the effect of shape on the performance of boat hulls. She made simple aluminum foil hulls, which she floated in a tub of water. She added a drop of soap to the back of each boat, which propelled it across the tub. Maya is very familiar with the surfactant properties of soap. She tested four designs and discovered two were particularly good. Maya created a fifth design to extend her tests. She also tested both hot and cold water. All in all, Maya is an inquisitive young scientist! The tilted triangle at the top is the same shape as one of Maya’s most successful aluminum boat designs.